Human-Data Interaction | The Encyclopedia of Human-Computer Interaction, 2nd Ed. The Encyclopedia of Human-Computer Interaction, 2nd Ed. We have moved from a world where computing is siloed and specialised, to a world where computing is ubiquitous and everyday. In many, if not most, parts of the world, networked computing is now mundane as both foreground (e.g., smartphones, tablets) and background (e.g., road traﬃc management, ﬁnancial systems) technologies. This has permitted, and continues to permit, new gloss on existing interactions (e.g., online banking) as well as distinctively new interactions (e.g., massively scalable distributed real-time mobile gaming). An eﬀect of this increasing pervasiveness of networked computation in our environments and our lives is that data are also now ubiquitous: in many places, much of society is rapidly becoming “data driven”. Many of the devices we use, the networks through which they connect – not just the Internet but also alternative technologies such as ﬁxed and cellular telephone networks – and the interactions we experience with these technologies (e.g., use of credit cards, driving on public highways, online shopping) generate considerable trails of data. These data are created both consciously by us – whether volunteered via, e.g., our Online Social Network (OSN) proﬁles, or observed as with our online shopping behaviour (World Economic Forum 2011) – and they are inferred and created about us by others – not just other people but, increasingly, machines and algorithms, too. We create data trails both consciously and unconsciously. Most of us are very self-conscious about what we post on our Facebook and Twitter accounts – but only a minority of people are aware that they leave a very detailed data trail in many other ways, e.g., when browsing online or walking in their cities carrying their smartphones. Increasingly, machines and algorithms are tracking every step we take – both online and offline – and we are very rarely “warned” or notified about this surveillance. We observe that Human-Computer Interaction (HCI) has grown out of and been traditionally focused on the interactions between humans and computers as artefacts, i.e., devices to be interacted with. As described by Jonathan Grudin (1990a, 1990b), a Principal Researcher at Microsoft Research in the field of HCI, the focus of work in HCI has varied from psychology (Card, Moran, and Newell 1983) to hardware to software to interface, and subsequently deeper into the organisation. This trend, moving the focus outward from the relatively simple view of an operator using a piece of hardware, continued with consideration of the richness of the inter-relationships between users and computer systems as those systems have pervaded organisations and become networked, and thus the need to “explode the interface”, e.g., Bowers and Rodden (1993), professors at Newcastle and Nottingham Universities respectively. We believe that the continuing and accelerating trend towards truly ubiquitous and pervasive computing points to a need to emphasise another facet of the very general topic of how people interact with computer systems: how people should interact with data. That is, not so much the need for us to interact directly with large quantities of data (still a relatively rare occupation), but the need for us all to have some understanding of the ways in which our behaviours, the data they generate, and the algorithms which process these data increasingly shape our lives. A complex ecosystem, often collaborative but sometimes combative (Brown 2014), is forming around companies and individuals engaging in the use of thee data. The nascent, multi-disciplinary ﬁeld of Human-Data Interaction (HDI) responds to this by placing the human at the centre of these data ﬂows, and it is concerned with providing mechanisms for people to interact explicitly with these systems and data. We think that it’s crucial to understand 1) how our behaviours, 2) how the data our behaviours generate, and 3) how the algorithms which process these data increasingly shape our lives. Human-Data Interaction (HDI) places the human at the centre of these data ﬂows, and HDI provides mechanisms which can help the individual and groups of people to interact explicitly with these systems and data. In this article we will next go into more detail as to why HDI deserves to be named as a distinct problematic (§2) before deﬁning just what it is we might mean by HDI (§3). We will then give our story of the development of HDI to its state by the mid-2010s, starting with Dataware, an early technical attempt to enable HDI (§4). We follow this with a deeper discussion of what exactly the “I” in HDI might mean – how interaction is to be construed and constructed in HDI – and a recent second attempt at starting to deﬁne a technical platform to support HDI with that understanding in mind (§5 and §6 respectively). We conclude with a brief discussion of some exciting areas of work occurring in the second half of the 2010s that we identify (§7), though there are no doubt many more! Finally, after summarising (§8), we give a few indications of where to go to learn more (§9). 41.2 Why Do We Need HDI? Privacy is not an outdated model. We need it more than ever. Many Internet businesses rely on extensive, rich data collected about their users, whether to target advertising eﬀectively or as a product for sale to other parties. The powerful network externalities that exist in rich data collected about a large set of users make it diﬃcult for truly competitive markets to form. We can see a concrete example in the increasing range and reach of the information collected about us by third-party websites, a space dominated by a handful of players, including Google, Yahoo, Rubicon Project, Facebook and Microsoft (Falahrastegar et al. 2014, 2016). This dominance has a detrimental eﬀect on the wider ecosystem: online service vendors ﬁnd themselves at the whim of large platform and Application Programming Interface (API) providers, hampering innovation and distorting markets. Personal data management is considered an intensely personal matter however: e.g., professor of Informatics Paul Dourish (2004) argues that individual attitudes towards personal data and privacy are very complex and context dependent. Studies have shown that the more people disclose on social media, the more privacy they say they desire, e.g., Taddicken and Jers (2011), of the Universities of Hamburg and Hohenheim respectively. This paradox implies dissatisfaction about what participants received in return for exposing so much about themselves online and yet, “they continued to participate because they were afraid of being left out or judged by others as unplugged and unengaged losers”. This example also indicates the inherently social nature of much “personal” data: as Andy Crabtree, Professor of Computer Science at the University of Nottingham, and Richard Mortier, University Lecturer in the Cambridge University Computer Laboratory (2015) note, it is impractical to withdraw from all online activity just to protect one’s privacy. Context sensitivity, opacity of data collection and drawn inferences, trade of personal data between third parties and data aggregators, and recent data leaks and privacy infringements all motivate means to engage with and control our personal data portfolios. However, technical constraints that ignore the interests of advertisers and analytics providers, and so remove or diminish revenues supporting “free” services and applications, will fail (Vallina-Rodriguez et al. 2012; Leontiadis et al. 2012). The Internet of Things (IoT) further complicates the situation, reshaping the nature of data collection from an active feature of human-computer interaction to a passive one in which devices seamlessly communicate personal data to one another across computer networks. Insofar as encryption is seen as the panacea to privacy concerns – and it is not: consumer data remains open to the kinds of industry abuses that we are all becoming increasingly familiar with – this gives rise to “walled gardens” in which personal data is distributed to the cloud before it is made available to end-users. Open IoT platforms, such as Samsung’s ARTIK, do not circumvent the problem either: they are only open to developers. This is not an IoT speciﬁc objection. However, IoT throws it into sharp relief: while security is clearly an important part of the privacy equation, it is equally clear that more is required. There is need in particular to put the end-user into the ﬂow of personal data; to make the parties about whom personal data is generated into active rather than passive participants in its distribution and use. The need to support personal data management is reﬂected in a broad range of legal, policy and industry initiatives, e.g., Europe’s General Data Protection Directive (European Parliament 2014), the USA’s Consumer Privacy Bill of Rights (US Consumer Privacy Bill of Rights 2012) and Japan’s revision of policies concerning the use of personal data (Strategic Headquarters for the Promotion of an Advanced Information and Telecommunications Network Society 2014). Here, issues of trust, accountability, and user empowerment are paramount. They speak not only to the obligations of data controllers – the parties who are responsible for processing personal data and ensuring compliance with regulation and law – but seek to shift the locus of agency and control towards the consumer in an eﬀort to transform the user from a passive “data subject” into an active participant in the processing of personal data. That is, into someone who can exercise control and manage their data and privacy, and thus become an active player or participant in – rather than a passive victim of – the emerging data economy. Having discussed why HDI is a topic that should concern us, we now turn to a more detailed discussion of just what it is that we might mean when we use the term HDI. 41.3 Just What is HDI? As a count noun: an item of information; a datum; a set of data. Related items of (chieﬂy numerical) information considered collectively, typically obtained by scientiﬁc work and used for reference, analysis, or calculation. Computing. Quantities, characters, or symbols on which operations are performed by a computer, considered collectively. Also (in non-technical contexts): information in digital form. Data trail: An electronic record of the transactions or activities of a particular person, organisation, etc. Now esp. with reference to a person’s ﬁnancial transactions, telephone and Internet usage, etc. Data smog: A confusing mass of information, esp. from the Internet, in which the erroneous, trivial, or irrelevant cannot be easily or eﬃciently separated from what is of genuine value or interest (often in ﬁgurative context); obfuscation generated by this; cf. information overload. Big Data: Computing (also with capital initials) data of a very large size, typically to the extent that its manipulation and management present signiﬁcant logistical challenges; (also) the branch of computing involving such data. In many ways, it is the interplay between the last three deﬁnitions that we believe gives rise to the need for a broader conception of HDI: when the data trails of individuals’ private behaviour are coalesced and analysed as big data; and where the results of that analysis, whether or not correct, are fed back into the data associated with an individual. Data, particularly personal data, can be seen as a boundary object (Star and Griesemer 1989; Star 2010), reﬂected in the many ways diﬀerent communities refer to and think of data. For example, to contrast with big data we see data trails referred to as small data (Estrin 2013) where “N = me”, pertaining to each of us as individuals. We see yet other terms used in other ﬁelds: participatory data (Shilton 2012) in health, microdata (Kum et al. 2014) in population informatics, and digital footprint (Madden et al. 2007) in the digital economy. HDI is about federating disparate personal data sources and enabling user control over the use of “my data” (McAuley, Mortier, and Goulding 2011). HDI is about human manipulation, analysis, and sense-making of large, unstructured, and complex datasets (Elmqvist 2011). HDI is about processes of collaboration with data and the development of communication tools that enable interaction (Kee et al. 2012). HDI is about delivering personalised, context-aware, and understandable data from big datasets (Cafaro 2012). HDI is about providing access and understandings of data that is about individuals and how it aﬀects them (Mashhadi, Kawsar, and Acer 2014). 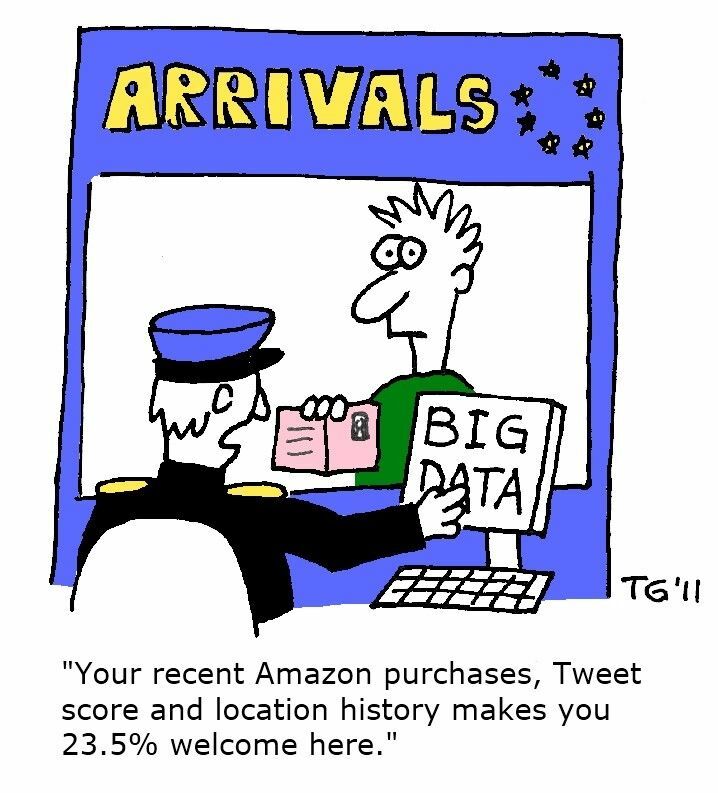 That there is a great deal of digital data about, so much so that it might be seen as the next frontier for computing and society alike (Pentland 2012). That HDI is very much conﬁgured around large amounts of “personal data”, whether in terms of delivering personalised experiences or in terms of it being about individuals. That interaction covers a range of interrelated topics from data analytics to data tailoring, and enabling access, control, and collaboration. Figure 1: Data ﬂows in the Human-Data Interaction model. We generate data which is analysed to produce inferences. These inferences in turn are fed back, aﬀecting our behaviour and becoming themselves the subject of further analysis. Legibility. Premised on the recognition that interactions with data ﬂows and data processes are often opaque, legibility is concerned with making data and analytic algorithms both transparent and comprehensible to users. Agency. The means to manage “our” data and access to it, agency enables us to act eﬀectively in these systems, as and when we see ﬁt. This not only includes the ability to opt-in or opt-out of data collection and processing but also the broader ability to engage with data collection, storage and use, and to understand and modify data and the inferences drawn from it. Negotiability. The means to navigate data’s social aspects, negotiability supports interaction between other data subjects and their policies. This enables the ongoing engagement of users so that they can withdraw from data processing either completely or in part, and can derive value from data harvesting for themselves. 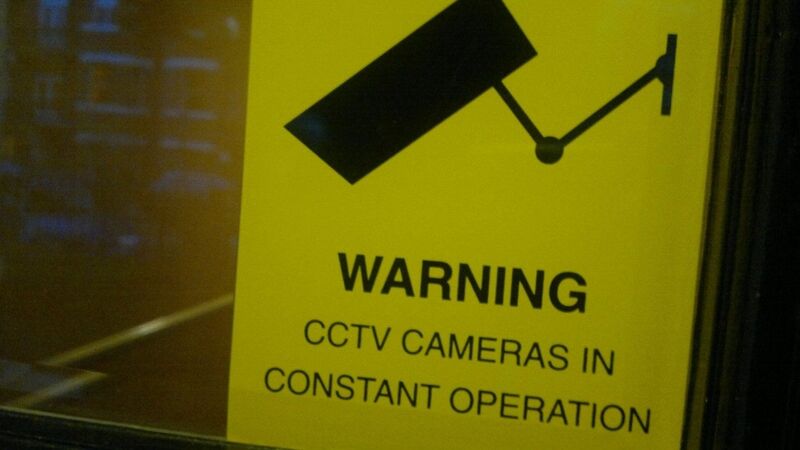 Our interactions with online data systems are often opaque to us: there are few online analogues of physical world artefacts such as the mandatory signage required in locations covered by CCTV (closed-circuit television), where recordings are made and monitored, typically for surveillance and security purposes. We argue that it is not enough simply to make these processes transparent: they are often technical and complex, and the implications of the data collected and processed are incomprehensible. Rather, we believe that they must be made legible, able to be understood by the people they concern. This is a prerequisite for our ability to exercise agency consciously in situations where personal data is being collected and processed. Already recognised in speciﬁc contexts such as consent and withdrawal (Coles-Kemp and Zabihi 2010), the need for data to be more legible is becoming pervasive as society becomes more data-driven. It is not enough simply to make online data system processes visible or transparent. Their technical complexity and the manifold implications of the data collected and processed must also be made legible so that the people whom they concern can understand them. Data created about us are often less well-understood by us. For instance, third-party website tracking, when combined with recommender systems and data-mining algorithms can create new data from inferences, such as advertising preferences (Vallina-Rodriguez et al. 2012). Credit-scoring companies and “customer science” companies collect and mine shopping and transaction data to both predict and enable behaviours. Not all such data uses are strictly commercial, however. For instance, personal data can be used to generate data for new crowdsourced applications such as traﬃc reports or optimised bus routes (Berlingerio et al. 2013). But new tools for informing people about their data, and the practices used around these data, are essential. Data created by us arise from our interaction with numerous sensors and technologies, from what are now mundane technologies such as OSNs and websites. The richness and variety of such data, however, is continually increasing, particularly with the growing interest in lifelogging and the “Quantiﬁed Self” (Choe et al. 2014). For example, devices and sensors with which we explicitly interact when monitoring our health (e.g., continuous blood glucose monitoring, smart asthma inhalers, bathroom scales that track our weight, or smartphone apps that monitor our sleep patterns). Such devices can create “people-centric” sensor trails (Campbell et al. 2008). Related advances in portable medical sensors, aﬀordable personal genomics screening, and other tools for mobile health diagnosis will generate new personal medical datasets (Kumar et al. 2013). Legibility entails several features. First, we need to become aware that data is being collected, relatively straightforward to achieve as with, e.g., recent European legislation requiring that websites make clear to users when the site deposits browser cookies. The second, more complex, requirement is that we become aware of the data themselves and their implications. A data-centric view of the world requires that we pay attention to the correctness (in an objective knowledge sense) of data. In contrast, a human-centric view requires that systems allow for different but equally valid viewpoints of data. Similarly, interpretations of data may vary signiﬁcantly over time, hence (for example) the recent Court of Justice of the European Union (2014) “right-to-be-forgotten” where public data about individuals can be removed from search engine results so that the distant past is not kept fresh in people’s minds, mirroring in some ways the natural human behaviour of forgetting once topical information. Simply providing visualisations of data is a starting point, and a well-studied topic within HCI. However, designer with MetroMile, Chloe Fan (2013) observes that even this can pose problems due to the scale of data involved as Quantiﬁed Self app developers have found when presenting the large, detailed, rich data collected about aspects of a single individual, from physical activity to sleep patterns and diet. Zaslavsky, Principal Research Scientist at CSIRO, Perera, Research Associate with The Open University, and Georgakopoulos, Professor with RMIT, Australia (2012), note similar problems arise with data that are inherent ambiguous such as those collected about communities through Internet-of-Things technologies. However, the potential for data visualisation to reveal aspects of the incentive models associated with the processing of data, and even the details of the processing algorithms themselves, may present more problematic challenges in a commercial environment. One possible avenue is to engage with artists in attempting to make these very abstract concepts (data, algorithm, inference) legible to users (Jacobs et al. 2013, 2016). Empowering us to become aware of the fact and implications of the collection of our personal data is a beneﬁcial ﬁrst step. However, putting people at the heart of these data processing systems requires more: we require agency, the capacity to act for ourselves within these systems. In 2016, the right to be informed when personal data are collected was enshrined in legislation such as the European General Data Protection Directive. But as the intimacy, ubiquity, and importance of the personal data collected about us grows, we require a broader ability to engage with its collection, storage, and use to understand and modify raw data and the inferences drawn from them. This is more than simply the ability to provide informed consent, though even that is often not achieved (or was as of the mid-2010s) (Ioannidis 2013; Luger, Moran, and Rodden 2013; Luger and Rodden 2013). The data collection process may have inherent biases due to contextual dependencies, temporal and other sampling biases, and simply misunderstood semantics. Inferences drawn from our personal data could be wrong, whether due to ﬂawed algorithms, incomplete data or the way our attitudes and preferences change over time. User-centric controls are required, not only for consent but for the revocation of collected personal data (Whitley 2009). In addition to a richer and more robust dialogue between regulators and the industry, we believe that enabling these requires stakeholders, including researchers, regulators, technologists, and industry, to establish qualitative and quantitative techniques for understanding and informing activity around human data. A survey of 1,464 UK consumers said that 94% believed that they should be able to control information collected about them (Bartlett 2012). It is worth noting that providing such abilities might also bring beneﬁts to data collection and processing organisations as well: the same survey reported that 65% of respondents said that they would share additional data with organisations “if they were open and clear about how the data would be used and if I could give or withdraw permission”. Note that we do not suggest all users must become continuously engaged in the collection, management and processing of their personal data. Extensive work in the context of privacy and personal data has demonstrated such features as the privacy paradox, whereby privacy only becomes a concern after a violation (Barnes 2006), and we might reasonably anticipate that many people will not often need or desire the capacity to act within these data-collection and -processing systems. However, many will from time to time, and some enthusiasts may do so more frequently. We claim that they must be supported in doing so. Evidence suggests that mechanisms for expressing data management, such as privacy policies, are diﬃcult both to design (Trudeau, Sinclair, and Smith 2009) and to interpret (Leon et al. 2012), and so supporting users acting more broadly may prove a signiﬁcant challenge. The interplay between data collectors and third-party data users introduces new challenges, both to the privacy of personal data and to the understanding of this privacy: How can we accurately measure the eﬀects of personal data collection when the eﬀects of this collection may span multiple entities and multiple time periods? If we cannot measure these eﬀects, then it will be hard to convince people that they should be concerned, or that they should adopt privacy mechanisms such as diﬀerential privacy (Dwork 2006), privacy-preserving proﬁling and advertising schemes (Haddadi, Hui, and Brown 2010; Guha et al. 2009), or metaphors to simplify the conﬁguration of such systems (Adams, Intwala, and Kapadia 2010; Kapadia et al. 2007). It is also worth noting that not all activities associated with processing of personal data are harmful, and so granting users agency in these systems need not have only negative eﬀects. Recommender systems (Ricci et al. 2010) can provide a useful function, saving us time and eﬀort. Live traﬃc updates through services such as Google Maps assist us in avoiding traﬃc jams. Public health initiatives are often based on the aggregation of large quantities of highly personal data. The opportunity for data subjects to engage with data systems may enable them to correct and improve the data held and the inferences drawn, improving the overall quality and utility of the applications using our personal data. Legibility and agency are important, but we further need to allow people to re-evaluate their decisions as contexts change, externally (e.g., people and data crossing jurisdictional boundaries) and internally (e.g., feedback and control mechanisms have been shown to aﬀect data-sharing behaviour (Patil et al. 2014). We term this negotiability. Much debate around the use of personal data has assumed that data are considered a “good” that can be traded and from which economic value should be extracted (Organisation for Economic Co-operation and Development 2013). Although we agree that it may well be possible to enable an ecosystem using economic value models for utilisation of personal data and marketplaces (Aperjis and Huberman 2012), we believe that power in the system is—as of 2016—disproportionately in favour of the data aggregators that act as brokers and mediators for users, causing the apparent downward trajectory of economic value in the information age (Lanier 2013). Eﬀectively redressing this balance requires research to understand the contextual integrity (Nissenbaum 2004) of uses of our personal data, and how this impacts services and new uses of our data both for research and business (Shilton et al. 2009). Contextual eﬀects mean that data connected with people cannot realistically be considered neutral or value-free, leading to problems with applying concepts such as the data-driven society or Big Data to individuals. Expecting people to be able to self-manage their personal, private data may be inappropriate given increased data collection (Solove 2013), and so legal and regulatory frameworks may need revisiting and readdressing (Westby 2011). Some of these issues are already being faced by researchers carrying out experiments that use personal data. Experiment design requires careful consideration of the types of data to be used and the ways in which appropriate consent to use data can be obtained (Brown, Brown, and Korﬀ 2010). Sharing of research data is becoming popular, and even mandated, as a mechanism for ensuring good science and the dissemination of good science (Callaghan et al. 2012). As a result, issues such as the privacy and ethics issues of sharing – and not sharing (Huberman 2012) – data are increasingly being discussed (O’Rourke et al. 2006). Much of our presentation has focused on issues surrounding speciﬁcally personal data. The power of open data, open knowledge, and open innovation are also being widely advocated by a number of independent organisations such as the The Open Data Institute. The objective of these eﬀorts is to free individuals and the Web from echo chambers and ﬁlter bubbles (Pariser 2011), empowering them through transparent access and audit of governments and various organisations. The underlying belief is that publishing data will help make it participatory and accessible, leading to innovation and thus beneﬁt to the populace. Releasing data to the public, however, needs care and foresight into usage, correlation, and reputational side eﬀects. For example, availability of crime data about a speciﬁc neighbourhood may end up reinforcing that area as a crime hub. Individuals hidden in previously anonymized, delinked personal data may become identiﬁable through application of newly available data (Ohm 2010). As a result, HDI needs to take into account not only personal data, but also current and future data. Finally, as we build infrastructures and interfaces that enable users to understand and engage with data processing systems, we must consider how these will shape and be shaped by the ways that we reason about our data. The kinds of analogies we build and use in this reasoning will be informed by cultural and contextual diﬀerences and similarities and, in turn, will inform how we use, release, and distribute personal data in diﬀerent communities and cultures. Having discussed just what we might mean by HDI, we now turn the clock back to an early exploration of technical matters that informed the development of HDI. This provides a basis for the direction in which HDI has moved and for its current trajectory. The Dataware model of McAuley, Mortier, and Goulding (2011) was a very early foray into providing a particular instantiation of what later became core HDI concepts. 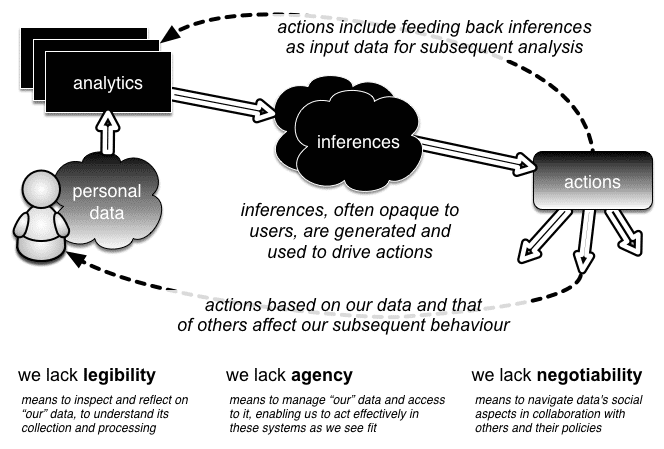 The model is based on three fundamental types of interacting entity, depicted in Figure 2: the owner (or user or subject), by or about whom data is created; the data sources, which generate and collate data; and the data processors, which wish to make use of the user’s data in some way. Figure 2: Actors within the Dataware model: owner (or user or subject), sources, and processors, interaction among whom is mediated through the owner’s personal container. To assist the owner in managing the relationship between these entities, this model posits that the underlying technology will provide them with a personal container – a forerunner of the Databox, discussed later (§6) – that will enable them to oversee and manage access to their data sources and processing of their data by various data consumers. This is a logical, primarily cloud-hosted, entity formed as a distributed computing system, with the software envisaged to support it consisting of a set of APIs providing access to data held by data sources. Data processors would write code to use these APIs, and then distribute that code to the data sources which would take responsibility for executing it, returning results as directed by the data processor. The ﬁnal and key piece of infrastructure envisaged is a catalogue, within which an owner would register all their data sources, and to which processors would submit requests for metadata about the sources available, as well as requests to process data in speciﬁed ways. 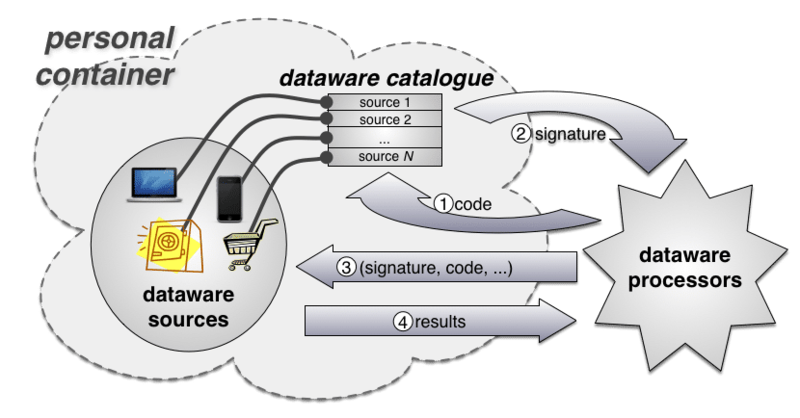 Figure 3: Workﬂow in the Dataware architecture: requests are made of the owner’s catalogue, which grants permission by signing the request. When the signed request is presented for processing at a source, the source can validate it has permission to be run. From a user’s point of view, interaction with this model shown in Figure 2 works as shown in Figure 3: processors desiring access to one or more datasets within the catalogue present a request for access along with information about the request (minimally, a representation of the processing to be carried out); the user permits (or denies) the request, which is indicated by the catalogue returning some form of token to the processor representing granted permission; the processor subsequently presents the request (the processing to be carried out) and the token to the data sources it covers; ﬁnally, the data sources return the results of the processing as directed in the request to the data consumer. The model assumes that the catalogue and the data sources it references are governed by the user, including logging and auditing the uses made of data so that the user can retrospectively inspect what has been done, when, by whom and to what end. The model also permits a user to operate multiple catalogues, independent of each other, thereby providing a means to control the problems of linking accounts across diﬀerent sources. Interactions between such catalogues are not considered an explicit feature of the system. The need for common, or at least self-describing, data formats, and associated means for source discovery. The need to support federation between an owner’s many data sources, as many existing sources will remain within distinct organisations, and the associated need for identity mechanisms. The need for protocols that support not only resource discovery but also negotiation of permission to process data, ability for users to control the environment in which data processing executes, giving them complete control over exactly what is exﬁltrated to the requesting data processor. It is to a deeper exploration of the interactional issues that HDI throws up that we next turn. We can thus consider dataware an attempt to build a digital infrastructure that supports human data interaction by surfacing a user’s personal data sources, and what third parties would do with them or have done with them. It construes the “I” in HDI as an accountable transaction between the parties to it, conﬁgured in terms of request, permission, and audit. This certainly could transform the situation (as it stands in the mid-2010s), characterised by the largely unaccountable use of personal data by third parties. However, it does not describe how such transactions will be accountably conducted in practice: on what accountable matters will requests, permissions and audits turn upon? It is towards unpacking what we mean by the accountable matters of human data interaction that we now turn. As previously noted, HDI is about digital data pertaining to people, that is considered personal in nature: it is an object-embedded-in-human-relationships, the view of data transactions within those relationships can be elaborated through the notion of boundary objects. To wit, HDI turns upon a “mutual modus operandi”, which involves “communications” and “translations” that order the “ﬂow” of information through “networks” of participants. However, the question then arises: is the interactional arrangement Dataware provides, of request-permission-audit, suﬃciently coherent to make HDI into a mundane infrastructure? On closer inspection, the answer is “no”: communications are not truly mutual. Instead, third parties—not data subjects—drive them, with interaction being done to the “users” rather than something done by them. Even where they do have the ability to refuse or remove permissions, users are dealing with one-way traﬃc: the Dataware modus operandi is asymmetrical. This then begs the question of what a symmetrical relationship might look like, e.g., how might users drive data sharing by (for example) actively seeking out data processors? The situation is further complicated by the inherently cognitive character of the Dataware model: it is based on “my data” and on data “about me”, ignoring the N-dimensional character of human data that arises as data often relates not so much to “me” or “you” but to “us”. With this, the coherence of the “my data” model starts to break down and break down in challenging ways. It is not just a matter of handling what, for example, “you” posted on “my” Facebook page, but of handling the media we produce and consume together. Thus, the unit of data is not always “mine” but frequently “ours”. How is “our data” to be handled? How is social data to be catalogued and governed? The individuated model of “my” data breaks down when we start to think of how “our” data is owned, controlled and managed. It’s not enough to assign, e.g., an individual in a household to “house keep” it as can be done with day-to-day management of the home network (Tolmie et al. 2007). A host of relational issues are wrapped up in any such endeavour: the age of members of “our” cohort will shape ownership and control, as will the personal situations that members ﬁnd themselves in. Who, for example, will own and control “our” children’s personal data? And what about elderly, inﬁrm or temporally incapacitated members of “our” cohort? Take, for example, a young child’s personal data – who owns it and who controls it? It cannot be assumed that the same person exercises ownership and control. Ownership may well reside with the person to whom the data applies, as it were. However, control in such a situation may well be delegated to another (e.g., a parent), thereby reﬂecting the organised practices of personal data handling (take, for example, a young child’s health records or bank details). The same does not apply to teenagers, however. As they develop their independence we might well expect, again in line with current organised practices of human data interaction, that they will assume control over their own data along with a great many other aspects of their lives. Even so, this may be a phased rather than a sharp transition. The same may apply, in reverse, to an elderly member of the cohort who wishes to hand over the running of her aﬀairs to someone else. Situated within a lively social context, and accompanied by diﬀering relational rights and obligations, ownership and control cannot be permanently ﬁxed and tied to an individual, as the Dataware model presumes. Instead, it will change over time with respect to a host of evolving relationships and contingencies. In the real world, data sharing is “recipient designed” – i.e., shaped by people with respect to the relationship they have with the parties implicated in the act of sharing. What you tell people of how much you smoke or drink or what foods you eat or how much you weigh, for example, very much depends upon to whom you are doing the telling. Doctors know all too well, for example, that such matters are grossly underestimated when told to them. The same applies more generally; not that we grossly underestimate things but that we are selective in what we divulge about our personal lives, using the “selectivity” with respect to our relationship to the other parties involved. HDI views the recipient as the processor, which presents a particular request for computation to be carried out to the data source after it has been granted permission. While this holds true, the issue is to enable the user to design permission with respect to just what of the data is available to the processor, and to others within a particular cohort, too. Recipient design draws our attention to the need to support human judgement, decision-making and intervention in the course of HDI. These subtleties of HDI in the social world indicate a need to develop a much more encompassing and dynamic model of human-data interaction. That would include possibilities for users to refuse or remove permissions to access data, and to redact data, both internally within a cohort (whether a family or some other grouping of people) and externally in our interactions with third parties. These problems, by no means exhaustive of the challenges confronting eﬀorts to build digital infrastructures supporting HDI, suggest that there is a strong sense in which we need to factor “articulation work” into HDI. Requests, permissions and audit logs are mechanisms of coordination within the ﬁeld of work itself, but they do not articulate the ﬁeld of work. They order the ﬂow of information between users and third parties, but the ﬂow itself stands in need of articulation. What, for example, occasions a request being made and being made in such a way for it to seem “reasonable” to a user? Consider the expectations we might ordinarily entertain and the potential responses that might attach to requests from strangers, for example. Add to the mix how we might ordinarily react to requests regarding our personal data from strangers, and it soon becomes clear that making a request is a non-trivial matter; that it requires articulation. Thus, a key design challenge in HDI is not only one of developing appropriate mechanisms to coordinate the ﬂow of information within the ﬁeld of work, but of articulating and thus coordinating the work that makes ﬂow possible as well. No such stipulation exists in HDI: neither the request nor audit function provide adequate support and with it insight into the cooperative arrangement of work between users and third parties or the status of data processing within that arrangement. Cooperative work in HDI eﬀectively occurs within a black box. A user cannot tell then from either the request or the audit such things as where in the arrangement of work the processing of data has reached, who is doing what with it, what’s going to happen next, if there are problems or issues of concern, and so on. The articulation of work is limited to who wants the data for what purposes and reviewing such information. There is then very little support within HDI as it stands for the ongoing management of relationships between the various actors implicated in personal data sharing. Again, it is hard to see on what basis HDI could become a stable socio-technical infrastructure in everyday life without such mechanisms. A key challenge thus becomes one of creating computational mechanisms of interaction that build the elemental objects of articulation work into HDI to make salient dimensions of distributed action accountable to users, thereby enabling them to manage and coordinate interaction. In saying this, we are not saying that we should blindly follow prior stipulations of salient features (though it does seem that some will hold), but that we need to develop a much better understanding of what needs to be articulated with respect to personal data sharing and the cooperative work arrangements implicated in it. The same applies to the ﬁeld of work itself. Schmidt points out that the distributed activities of a cooperative work arrangement are articulated with respect to objects within the ﬁeld of work itself (e.g., data sources within the catalogue). A key issue here revolves around the ‘conceptual structures and resources’ that order the ﬁeld of work, enabling members of a cooperative ensemble to make sense of it and act upon it. Again the question of interactional adequacy arises when we ask what conceptual structures HDI provides? It’s not that it doesn’t provide any, but the terms on which it does so are problematic from an interactional perspective. Take, for example, the Dataware catalogue. It is conceptually ordered in terms of ‘tables’ that render data sources intelligible in terms of accounts, applications, installs, and services, etc. The problem in this is that the conceptual structure of HDI as instantiated in Dataware is rendered in terms of the underlying technology, rather than in terms of what is being done through that technology, such as the processing of biological data as part of a healthcare regime. The problem thus involves ordering the ﬁeld of work such that it reﬂects the work-being-done, or the work-to-be-done, rather than the underlying technical components of that work. It is hard to see, then, how users can articulate their distributed activities with respect to objects in the ﬁeld of work when those objects (data sources) lack legibility or intelligibility to the broader populace in contrast to computer scientists and software engineers. Other, more ‘user friendly’ – and more pointedly, data-relevant and service-speciﬁc – conceptual structures and resources are required. Articulating both the ﬁeld of work and the cooperative arrangements of work implicated in HDI stand as two key challenges confronting HDI. We have seen that a mutual modus operandi is not in place and that the user whose data is being purposed by others does not have reciprocal opportunities for discovery. We have seen that data is not only ‘mine’ but ‘ours’ and thus is social in character. We have seen that ownership and control are not isomorphic and that the life world drives the dynamics of these aspects of interaction. We have seen that data sharing is recipient designed. And we have seen that, in short, the conceptual structures and resources ordering the ﬁeld of work lack legibility, intelligibility, and accountability. Each of these problems is an inherent feature of the ﬁeld of work in HDI and presents challenges to its ongoing articulation. What exactly should be made discoverable, and what kinds of control can users exercise over the process of discovery? These issues prospectively turn upon the articulation of metadata about a user’s personal data sources, ranging (for example) from nothing more than articulating where a user’s catalogue or catalogues can be contacted to more detailed information concerning a catalogue’s contents. The demands of articulation work place further requirements on this process. Even if users are willing to publish metadata about their data, some means of understanding who is interested in discovering it may well be needed so as to build trust into the process. This could involve providing analytics into which processors are interested, when, how often, etc. Such analytics might provide users with resources enabling them to decide what of their data to expose or hide, though discovery may also turn in important respects upon other aspects of access control including deﬁning pre-speciﬁed policies on who can and can’t discover their data. The issue of how users might drive the discovery process (ﬁnding data processors for themselves, whether for personal, ﬁnancial or social purposes) is more problematic. We will soon discuss early thoughts on how this might be addressed (§6), and turn upon making discovery of data processors much like discovering new apps in app stores. Users are familiar with and make a conscious choice to visit app stores, where they are provided with rich metadata about apps and app authors that shapes their decision-making. Data processors could be ‘vetted’, much like apps in the iTunes Store, and progressively more detailed information about processing could be provided, much like app permissions in the Google Play Store. In addition, the social aspects of app stores also play an important role in the discovery process: user ratings and social networking links help build the trust between users and service providers that is essential in the discovery and adoption of new technologies. The social challenges of data ownership and control make it necessary to consider how users can collate and collaboratively manage individual and collective data sources. Individuals will need resources that enable them to control their own personal data sources as well as resources that allow them to delegate control of data sources and catalogues to others such that (for example) “I” can assign control of “my” data sources to “you”. How ownership and control relationships are represented within and between catalogues, and what mechanisms will be needed to provide adequate support for their ongoing articulation, is an open matter. Even so, transparency/awareness will be an important matter to consider along with rights management. The creation and curation of collective data sources is an equally challenging matter. Although this may appear trivial – for example, energy consumption data might relate as it does now to the household rather than speciﬁc individuals, with no complex identity and management issues involved – purposing such data is anything but a trivial matter. Who has the right to view and share such data? Who can edit it or revoke its use? Who actually owns and controls it? One view might be to default to the bill payer, but not all collective data sources are necessarily premised on contractual relationships. Add to the mix a world in which personal data harvesting becomes increasingly associated with the things with which we mundanely interact, and the possibility of opening up both collective and individual behaviours to unprecedented scrutiny through data analytics becomes a real and problematic prospect. The inherent tension between individual and collective data will require the development of group management mechanisms that support negotiated data collection, analysis and sharing amongst a cohort. Both the individual and negotiated production, analysis and sharing of personal data turn upon data sources being legible to users. For users to have agency – that is, the ability to exercise control – within an HDI system in any meaningful way, data sources must provide a minimum level of legibility as to what data they contain, what inferences might be drawn from that data, how that data can be linked to other data, and so on. Without some means to present this critical information, preferably in some form that can be standardised, users will find it hard even to begin to understand the implications of decisions they may make and permissions they give for processing of their data. As part of this, it is key that users are not only able to visualise and inspect the data held by a source, but that they can also visualise and thus understand just what a data processor wants to take from a source or collection of sources and why – that just what is being ‘shared’ is transparently accountable to users, which may also involve making external data sources (e.g., consumer trends data) visible so that users understand just what is being handed over. Coupled to this is the need to enable recipient design by users. There are two distinct aspects to this. One revolves around enabling users to edit data, redacting aspects of the data they do not wish to make available to others both within a cohort and outside of it. The other revolves around controlling the presentation of data to processors when the accuracy of data needs to be guaranteed (e.g., energy consumption readings). Personal data discovery, including meta-data publication, consumer analytics, discoverability policies, identity mechanisms, and app store models supporting discovery of data processers. Personal data ownership and control, including group management of data sources, negotiation, delegation and transparency/awareness mechanisms, and rights management. Personal data legibility, including visualisation of what processors would take from data sources and visualisations that help users make sense of data usage, and recipient design to support data editing and data presentation. Personal data tracking, including real time articulation of data sharing processes (e.g., current status reports and aggregated outputs), and data tracking (e.g., subsequent consumer processing or data transfer). Each of these themes stand in need of interdisciplinary investigation and elaboration. This includes ethnographic studies of current practices of individuals and groups around personal data creation and curation, co-designed interventions to understand future possibilities, and the engineering of appropriate models, tools and techniques to deliver the required technologies to support the complex processes involved in HDI and mesh the articulation of personal data with the organised practices of everyday life. What this amounts to in many respects is a call to the broader HCI community to engage with the study and design of boring things – infrastructures – for personal data is embedded within them: in health infrastructures, communication infrastructures, ﬁnancial infrastructures, consumption infrastructures, energy infrastructures, media infrastructures, etc. It is a call to study and build HDI around the unremarkable ways in which personal data is produced and used within the manifold infrastructures of everyday life. Doing so, we might understand how personal data is accountably traded within human relationships and thereby develop actionable insights into what is involved in articulating those relationships in the future. Thus, the analysis that discussion of the Dataware proposal generated, followed by the engagement of a more interactional lens on the problem, led to considerable development of our conception of HDI. In turn, this has generated considerable reﬁnement of what a technical platform in support of HDI might be – we discuss one such proposal next. Dataware focused on a computational model for processing of personal data – by moving code to data, the problems associated with release of data to third parties could be avoided. However, it failed to consider in any detail the numerous interactional challenges identiﬁed through consideration of the HCI literature and the concepts of boundary object and articulation work, discussed in the preceding section. Informed by that consideration, our current work related to HDI is concerned with development of infrastructure technology to provide for HDI in supporting individuals (in the ﬁrst instance) in management of their personal data. 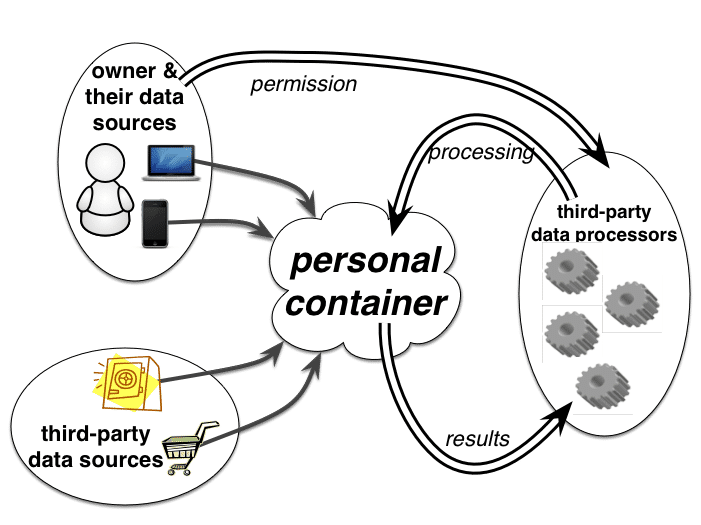 This eﬀort reﬁnes the initial concept of a cloud-hosted, online Personal Container into a Databox (Haddadi et al. 2015). Your Databox is a physical device, supported by associated services, that enables you to coordinate the collection of your personal data, and to selectively and transiently make those data available for speciﬁc purposes. Different models are supported that will enable you to match your data to such purposes, from registration with privacy-preserving data discovery services so that data processors can find your Databox and request from you access to data it holds, to app stores in which you can search for data processing applications that you wish to provide with access to your data via your Databox. Its physicality oﬀers a range of aﬀordances that purely virtual approaches cannot, such as located, physical interactions based on its position and the user’s proximity. It is worth noting that we do not envisage Databoxes entirely replacing dedicated, application-speciﬁc services such as Facebook and Gmail. Such sites that provide value will continue receiving personal data to process in exchange for the services they oﬀer. Nor is the Databox oriented solely to privacy and prevention of activities involving personal data. Rather, it is explicitly intended to enable new applications that combine data from many silos to draw inferences presently unavailable. By redressing the extreme asymmetries in power relationships in the current personal data ecosystem, the Databox opens up a range of market and social approaches to how we conceive of, manage, cross-correlate and exploit “our” data to improve “our” lives. What features must a Databox provide to achieve these aims? We answer in four parts: it must be a trusted platform providing facilities for data management for the data subjects as well as enabling controlled access by other parties wishing to use their data, while supporting incentives for all parties. Your Databox coordinates, indexes, secures and manages data about you and generated by you. Such data can remain in many locations, but it is the Databox that holds the index and delegates the means to access that data. It must thus be highly trusted: the range of data at its disposal is potentially far more intrusive – as well as more useful – when compared to data available to traditional data silos. Thus, although privacy is not the primary goal of the Databox, there are clear requirements on the implementation of the Databox to protect privacy (Haddadi, Hui, and Brown 2010). Trust in the platform requires strong security, reliable behaviour and consistent availability. All of the Databox’s actions and behaviours must be supported by pervasive logging with associated tools so that users and (potentially) third-party auditors can build trust that the system is operating as expected and, should something unforeseen happen, the results can at least be tracked. We envisage such a platform as having a physical component, perhaps in the form-factor of an augmented home broadband router, under the direct physical control of the individual. Thus, while making use of and collating data from remote cloud services, it would also manage data that the individual would not consider releasing to any remote cloud platform. A Databox must provide means for users to reﬂect upon the data it contains, enabling informed decision-making, particularly about whether to delegate access to others. As part of these interactions, and to support trust in the platform, users must be able to edit and delete data via their Databox as a way to handle the inevitable cases where bad data is discovered to have been inferred and distributed. This may require means for the Databox to indicate this to third parties. Similarly, it may be appropriate for some data not to exhibit the usual digital tendency of a perfect record. Means to enable the Databox automatically to forget data that are no longer relevant or have become untrue may increase trust in the platform by users (Mayer-Schonberger 2009), though determining those characteristics automatically may be difficult. Even if data has previously been used, it may still need to be “put beyond use” (Brown and Laurie 2000). Concepts such as the European Union’s “Right to be Forgotten” require adherence to agreed protocols and other forms of cooperation, by third-party services and data aggregators. The Databox can be used as a central point for negotiating such data access and release rights. Users must have ﬁne-grained control over the data made available to third parties. At the very least, the Databox must be selectively queryable, though more complex possibilities include supporting privacy-preserving data analytics techniques, such as diﬀerential privacy (Dwork 2006) and homomorphic encryption (Naehrig, Lauter, and Vaikuntanathan 2011). A key feature of the Databox is its support for revocation of previously granted access. In systems where grant of access means that data can be copied elsewhere, it is eﬀectively impossible to revoke access to the data accessed. In contrast, a Databox can grant access to process data locally without allowing copies to be taken of raw data unless that is explicitly part of the request. Subsequent access can thus easily be revoked (McAuley, Mortier, and Goulding 2011). A challenge is then to enable users to make informed decisions concerning the impact of releasing a given datum as this requires an understanding of the possible future information-states of all third parties that might access the newly released datum. One way to simplify this is to release data only after careful and irreversible aggregation of results to a degree that de-anonymisation becomes impossible. More complex decisions will require an on-going dialogue between the user and their Databox, to assist in understanding the impact of their decisions and even learning from those decisions to inform future behaviour. A consequence of the controlled access envisioned above is that users may deny third-party services access to data. The Databox thus must enable services alternate means to charge the user: those who wish to pay through access to their data may do so, while those who do not may pay through more traditional ﬁnancial means. One possible expression of this would be to enable the Databox to make payments, tracing them alongside data ﬂows to and from diﬀerent third-party services made available via some form of app store. Commercial incentives include having the Databox act as a gateway to personal data currently in other silos, and as an exposure reduction mechanism for commercial organisations. This removes their need to be directly responsible for personal data, with all the legal costs and constraints that entails, instead giving control over to the data subject. This is particularly relevant for international organisations that must be aware of many legal frameworks. A simple analogy is online stores’ use of payment services (e.g., PayPal, Google Wallet) to avoid the overhead of Payment Card Infrastructure compliance. This, then, is where HDI stands in the mid-2010s: a nascent ﬁeld with some exciting possibilities for both technical development and human study. Next, we outline just a few of these. 41.7 Future Directions: What’s Next? The principles of HDI underscore the need to develop a user-centric platform for personal data processing in the 21st century. While in its infancy, it is increasingly clear that HDI poses a broad range of challenges that are only now beginning to be elucidated e.g., Crabtree and Mortier (2015). Many arise from engineering decisions taken early in the life of the Internet, where many features were eschewed in favour of building something that worked (Clark 1995). Thus, application (and higher) layer data ﬂows are not a thing with which the Internet is concerned. The focus was and is on moving data packets between network interfaces and supporting delivery of those packets to the correct application. It is hard to envision completely redesigning the entire basis of the Internet at this late stage. However, a number of discrete challenges are key to putting HDI’s principles into practice. The potential eﬃcacy of HDI fundamentally turns upon opening the Internet up as it were and making it accountable to users. What we mean by this is that at the network layer, the Internet only really supports accounting to the extent required for settlement between Internet Service Providers (ISPs), such as counting the number of bytes exchanged over particular network interfaces to enable usage-based billing. With the kinds of intimate data the IoT is envisioned to make available, this low-level “bits and bytes” accounting will be completely inadequate. It will be necessary to surface what data devices generate, how that data is recorded and processed, by whom, where it ﬂows to, etc. This metadata must be made visible to users to enable legibility, agency and negotiability without infringing users’ privacy. The advent and growth of the IoT, coupled with the lack of facility for easily managing ensembles of network-connected devices (at least, as it stands in the mid-2010s), increases the likelihood that we will suﬀer harm by leaking intimate information. There is need to complement the opening up of the Internet with the development of personal infrastructures that enable users to manage the ﬂow of data. One possible approach might be to provide smarter home hubs that support a range of interfaces and control points developed for speciﬁc purposes. Another is to support users in building their own infrastructure to a far greater extent than is possible today. Instead of relying on others (e.g., ISPs) to provide, conﬁgure and manage infrastructure to support users, we might seek to make it straightforward for users to create their own infrastructure services, conﬁguring and managing facilities such as ﬁrewalling, virtual private networks, DNS and other services. Resilience is a key ingredient in the mix between the Internet, personal infrastructures, and IoT applications in critical domains, such as health and well-being or smart-device energy management. In short, we might ask what happens to such applications when the Internet goes down (e.g., when the local access router dies or there is a problem at the local exchange)? There is a critical need to build resilience into IoT infrastructures if we are to rely upon applications in critical domains. One possible solution is to build IoT infrastructure into the local physical environment – e.g., into the fabric of the home – to provide the necessary fallback. This might be complemented by formal modelling techniques to enable the “in house” management of complex networked systems of “dumb” devices. That, in turn, raises the challenge of how users are to understand such techniques and interact with them to ensure quality of service and the ongoing protection of privacy in the face of contingency. As Peter Steiner put it in a cartoon in The New Yorker (1993), “On the Internet, nobody knows you’re a dog”. Identity touches all aspects of HDI and requires that meaningful statements can be made about just who has access to a user’s data. The Internet, being concerned with moving packets between network interfaces, provides no inherent support for higher-level expressions of identity. Application layer means of supporting identity do exist – e.g., TLS client certiﬁcates and PGP public keys – but they are very complex to manage. Speciﬁc challenges here include how to ensure the availability of the necessary “secrets” (keys, certiﬁcates) on all devices that may be used to access relevant data; how to support the management of data corresponding to multiple identities held by a user; and how to handle the revocation of access. Author/Copyright holder: Peter Steiner. Copyright terms and licence: Fair Use. 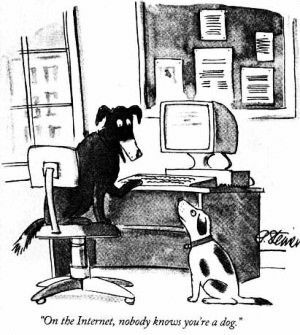 "On the Internet, nobody knows you're a dog" is an adage which began as a cartoon caption by Peter Steiner and published by The New Yorker on July 5, 1993. Devices generating data change context as they are shared between individuals, and individuals change context as they move around in space and time. Applications and services will come and go as well. Enabling users to be aware of and to manage the dynamics of ongoing data processing – who or what has access to which data, for which purposes, etc. – is a critical challenge to the sustained harvesting of personal data. That ongoing data harvesting will be dynamic and will potentially implicate multiple parties (users and data consumers) also raises the challenge of understanding the dialogues that are needed to sustain it; particularly the “work” these dialogues need to support and how they should be framed, implemented and maintained. Systems developed to support personal data management typically focus on the individual. But personal data rarely concerns just a single person. It is far more common for sources of personal data to conﬂate information about multiple individuals, who may have diﬀerent views as to how personal it is. For example, smart metering data gives a household’s energy consumption in aggregate, and diﬀerent household members may want that data to be shared with data consumers at diﬀerent levels of granularity. Supporting the collaborative management and use of personal data is another critical ingredient in the mix, all of which trades on making the data and data processing legible and putting the mechanisms in place that enable users to exercise agency and negotiability locally amongst their own cohorts as well as globally. 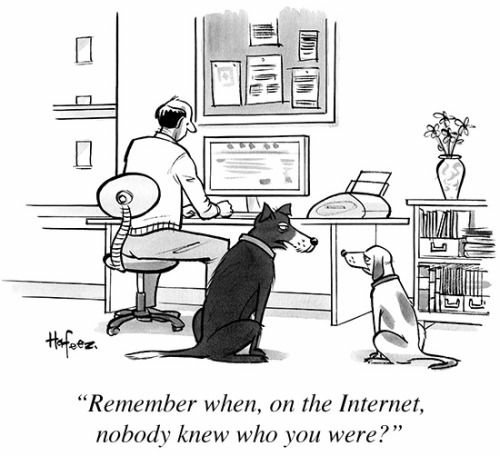 “Remember when, on the Internet, nobody knew who you were?” is a play by Kaamran Hafeez on the famous Steiner cartoon, also published in The New Yorker, on February 16, 2015. So, in such a complex and emerging field, what should you take away? The cartoon above gives one key takeaway: the simple fact that we do live in a complex, increasingly data-driven world, and this is the case whether or not we understand or care. The aim of HDI as a research agenda is to bring this fact to the fore, to provoke engagement from many parties to address the challenges we believe this raises. We hope that the framing of these debates as Human-Data Interaction, and the core principles we claim are at the heart of HDI, will assist and encourage researchers in many fields – including Computer Science, Law, Sociology, Statistics, Machine Learning among many others – to engage with the challenges and opportunities posed by our collective data driven future. 41.9 Where to Learn More? http://hdiresearch.org/, and there are a number of ad hoc workshops and other activities occurring under various banners, e.g., in the UK, the Alan Turing Institute and the IT as a Utility Network+. This article grows out of work funded by several agencies including RCUK grants Horizon Digital Economy Research (EP/G065802/1), Privacy By Design: Building Accountability into the Internet of Things (EP/M001636/1), CREATe (AH/K000179/1), Databox (EP/N028260/1) and IT as a Utility Network+ (EP/K003569/1); and the EU FP7 User Centric Networking grant No. 611001. As well as thanking the HDI community (http://hdiresearch.org) for their ongoing engagement and input, we particularly thank Kuan Hon, Yvonne Rogers, Elizabeth Churchill, Ian Brown, Laura James, Tom Rodden, members of the QMUL Cognitive Science research group, and attendees at the IT-as-a-Utility Network+ Human-Data Interaction workshop (October 2nd, 2013) for their input. Adams, Emily K., Mehool Intwala, and Apu Kapadia. 2010. “MeD-Lights: a usable metaphor for patient controlled access to electronic health records.” In Proceedings of the 1st ACM International Health Informatics Symposium, 800–808. IHI ’10. Arlington, Virginia, USA: ACM. isbn: 978-1-4503-0030-8. doi:10.1145/1882992.1883112. Aperjis, Christina, and Bernardo A. Huberman. 2012. “A Market for Unbiased Private Data: Paying Individuals According to their Privacy Attitudes.” First Monday 17, nos. 5-7 (May). doi:10.5210/fm.v17i5.4013. Barnes, Susan B. 2006. “A privacy paradox: Social networking in the United States.” First Monday 11, no. 9 (September 4). doi:10.5210/fm.v11i9.1394. Bartlett, Jamie. 2012. The Data Dialogue. London, UK: Demos, September 14. isbn: 978-1-909037-16-8. Bowers, John, and Tom Rodden. 1993. “Exploding the Interface: Experiences of a CSCW Network.” In Proceedings of the INTERACT ’93 and CHI ’93 Conference on Human Factors in Computing Systems, 255–262. CHI ’93. Amsterdam, The Netherlands: ACM. isbn: 0-89791-575-5. doi:10.1145/ 169059.169205. Brown, I., and B. Laurie. 2000. “Security against compelled disclosure.” In Proc. IEEE ACSAC, 2–10. December. doi:10.1109/ACSAC.2000.898852. Brown, Ian. 2014. “The Economics of Privacy, Data Protection and Surveillance.” In Handbook on the Economics of the Internet, edited by M. Latzer and J.M. Bauer. Cheltenham, UK: Edward Elgar Publishing. Brown, Ian, Lindsey Brown, and Douwe Korﬀ. 2010. “Using NHS Patient Data for Research Without Consent.” Law, Innovation and Technology 2, no. 2 (December): 219–258. issn: 1757-9961. doi:10.5235/175799610794046186. Cafaro, Francesco. 2012. “Using embodied allegories to design gesture suites for human-data interaction.” In Proceedings of the 2012 ACM Conference on Ubiquitous Computing, 560–563. New York, NY, USA: ACM. isbn: 978-14503-1224-0. doi:10.1145/2370216.2370309. Callaghan, Sarah, Steve Donegan, Sam Pepler, Mark Thorley, Nathan Cunningham, Peter Kirsch, Linda Ault, et al. 2012. “Making Data a First Class Scientiﬁc Output: Data Citation and Publication by NERC’s Environmental Data Centres.” International Journal of Digital Curation 7, no. 1 (March 10): 107–113. issn: 1746-8256. doi:10.2218/ijdc.v7i1.218. Campbell, Andrew T., Shane B. Eisenman, Nicholas D. Lane, Emiliano Miluzzo, Ronald A. Peterson, Hong Lu, Xiao Zheng, Mirco Musolesi, Kristf Fodor, and Gahng-Seop Ahn. 2008. “The Rise of People-Centric Sensing,” IEEE Internet Computing 12, no. 4 (July): 12–21. issn: 1089-7801. doi:10.1109/ mic.2008.90. Card, Stuart K., Thomas P. Moran, and Allen Newell. 1983. The psychology of human-computer interaction. Hillsdale, NJ, USA: Lawrence Erlbaum Associates, February. isbn: 0898598591. Choe, Eun K., Nicole B. Lee, Bongshin Lee, Wanda Pratt, and Julie A. Kientz. 2014. “Understanding quantiﬁed-selfers’ practices in collecting and exploring personal data.” In Proceedings of the SIGCHI Conference on Human Factors in Computing Systems, 1143–1152. Toronto, ON, Canada: ACM Press. isbn: 9781450324731. doi:10.1145/2556288.2557372. Clark, David D. 1995. “The Design Philosophy of the DARPA Internet Protocols.” SIGCOMM Comput. Commun. Rev. (New York, NY, USA) 25, no. 1 (January): 102–111. issn: 0146-4833. doi:10.1145/205447.205458. Coles-Kemp, Lizzie, and Elahe K. Zabihi. 2010. “On-line privacy and consent: a dialogue, not a monologue.” In Proceedings of the 2010 workshop on New security paradigms, 95–106. NSPW ’10. Concord, MA, USA: ACM, September. isbn: 978-1-4503-0415-3. doi:10.1145/1900546.1900560. Court of Justice of the European Union. 2014. An internet search engine operator is responsible for the processing that it carries out of personal data which appear on web pages published by third parties. Judgment in Case C-131/12, May 13. Crabtree, Andy, and Richard Mortier. 2015. “Human Data Interaction: Historical Lessons from Social Studies and CSCW.” In Proceedings of European Conference on Computer Supported Cooperative Work (ECSCW). Oslo, Norway, September. Dourish, Paul. 2004. “What We Talk About when We Talk About Context.” Personal Ubiquitous Comput. (London, UK, UK) 8, no. 1 (February): 19– 30. issn: 1617-4909. doi:10.1007/s00779-003-0253-8. Dwork, Cynthia. 2006. “Diﬀerential Privacy.” In Automata, Languages and Programming, edited by Michele Bugliesi, Bart Preneel, Vladimiro Sassone, and Ingo Wegener, 1–12. Berlin, Germany: Springer Berlin / Heidelberg. doi:10.1007/11787006 1. Elmqvist, Niklas. 2011. “Embodied Human-Data Interaction.” In Proceedings of the CHI Workshop on Embodied Interaction: Theory and Practice in HCI, 104–107. May. Estrin, Deborah. 2013. small data, N=me, Digital Traces. Talk presented at TEDMED 2013, Washington, DC, USA, April. European Parliament. 2014. Legislative resolution of 12 March 2014 on the proposal for a regulation of the European Parliament and of the Council on the protection of individuals with regard to the processing of personal data and on the free movement of such data (General Data Protection Regulation). http://www.europarl.europa.eu/sides/getDoc.do?type=TA&reference=P7TA-2014-0212〈uage=EN, March. Falahrastegar, Marjan, Hamed Haddadi, Steve Uhlig, and Richard Mortier. 2014. “The Rise of Panopticons: Examining Region-Speciﬁc Third-Party Web Tracking.” In Proc. Traﬃc Monitoring and Analysis, edited by Alberto Dainotti, Anirban Mahanti, and Steve Uhlig, 8406:104–114. Lecture Notes in Computer Science. Also as arXiv preprint arXiv:1409.1066. Springer Berlin Heidelberg, April. isbn: 978-3-642-54998-4. doi:10.1007/978-3-64254999-1 9. 2016. “Tracking Personal Identiﬁers Across the Web.” In Proceedings of Passive and Active Measurement (PAM). Fan, Chloe. 2013. “The Future of Data Visualization in Personal Informatics Tools.” In Personal Informatics in the Wild: Hacking Habits for Health & Happiness CHI 2013 Workshops. ACM. Grudin, Jonathan. 1990a. “Interface.” In Proceedings of the 1990 ACM Conference on Computer-supported Cooperative Work, 269–278. CSCW ’90. Los Angeles, California, USA: ACM. isbn: 0-89791-402-3. doi:10.1145/99332. 99360. Grudin, Jonathan. 1990b. “The Computer Reaches out: The Historical Continuity of Interface Design.” In Proceedings of the SIGCHI Conference on Human Factors in Computing Systems, 261–268. CHI ’90. Seattle, Washington, USA: ACM. isbn: 0-201-50932-6. doi:10.1145/97243.97284. Guha, Saikat, Alexey Reznichenko, Kevin Tang, Hamed Haddadi, and Paul Francis. 2009. “Serving Ads from localhost for Performance, Privacy, and Proﬁt.” In Proceedings of the Eighth ACM Workshop on Hot Topics in Networks (HotNets-VIII). New York City, NY, USA. Haddadi, Hamed, Pan Hui, and Ian Brown. 2010. “MobiAd: private and scalable mobile advertising.” In Proceedings of the ﬁfth ACM International Workshop on Mobility in the Evolving Internet Architecture, 33–38. MobiArch ’10. Chicago, Illinois, USA: ACM. isbn: 978-1-4503-0143-5. doi:10.1145/ 1859983.1859993. Haddadi, Hamed, Richard Mortier, Derek McAuley, and Jon Crowcroft. 2013. Human-data interaction. Technical report UCAM-CL-TR-837. Computer Laboratory, University of Cambridge, June. Huberman, Bernardo A. 2012. “Sociology of science: Big data deserve a bigger audience.” Nature 482, no. 7385 (February 16): 308. issn: 1476-4687. doi:10. 1038/482308d. Ioannidis, John P. A. 2013. “Informed Consent, Big Data, and the Oxymoron of Research That Is Not Research.” American Journal of Bioethics 13, no. 4 (March 20): 40–42. doi:10.1080/15265161.2013.768864. Kapadia, Apu, Tristan Henderson, Jeﬀrey J. Fielding, and David Kotz. 2007. “Virtual Walls: Protecting Digital Privacy in Pervasive Environments.” Chap. 10 in Proceedings of the 5th International Conference on Pervasive Computing, edited by Anthony LaMarca, Marc Langheinrich, and Khai N. Truong, 4480:162–179. Lecture Notes in Computer Science. Toronto, ON, Canada: Springer Berlin / Heidelberg, May. isbn: 978-3-540-72036-2. doi:10.1007/978-3-540-72037-9 10. Kee, Kerk F., Larry D. Browning, Dawna I. Ballard, and Emily B. Cicchini. 2012. “Sociomaterial processes, long term planning, and infrastructure funding: Towards eﬀective collaboration and collaboration tools for visual and data analytics.” In Presented at the NSF sponsored Science of Interaction for Data and Visual Analytics Workshop. Austin, TX, March. Kellingley, Nick. 2015. Human Data Interaction (HDI): The New Information Frontier. 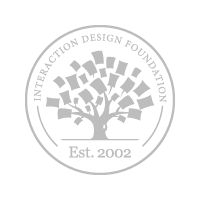 https://www.interaction-design.org/literature/article/human-datainteraction-hdi-the-new-information-frontier, November. Kum, Hye-Chung, Ashok Krishnamurthy, Ashwin Machanavajjhala, and Stanley C. Ahalt. 2014. “Social Genome: Putting Big Data to Work for Population Informatics.” Computer 47, no. 1 (January): 56–63. issn: 0018-9162. doi:10.1109/mc.2013.405. Kumar, Santosh, Wendy Nilsen, Misha Pavel, and Mani Srivastava. 2013. “Mobile Health: Revolutionizing Healthcare Through Transdisciplinary Research.” Computer 46, no. 1 (January): 28–35. issn: 0018-9162. doi:10.1109/mc. 2012.392. Lanier, Jaron. 2013. Who Owns The Future? New York, NY, USA: Simon & Schuster. Leon, Pedro G., Justin Cranshaw, Lorrie F. Cranor, Jim Graves, Manoj Hastak, Blase Ur, and Guzi Xu. 2012. “What do online behavioral advertising privacy disclosures communicate to users?” In Proceedings of the 2012 ACM workshop on Privacy in the electronic society, 19–30. WPES ’12. Raleigh, North Carolina, USA: ACM. isbn: 978-1-4503-1663-7. doi:10.1145/2381966. 2381970. Leontiadis, Ilias, Christos Efstratiou, Marco Picone, and Cecilia Mascolo. 2012. “Don’T Kill My Ads! : Balancing Privacy in an Ad-supported Mobile Application Market.” In Proceedings of the Twelfth Workshop on Mobile Computing Systems & Applications, 2:1–2:6. HotMobile ’12. San Diego, California: ACM. isbn: 978-1-4503-1207-3. doi:10.1145/2162081.2162084. Luger, Ewa, Stuart Moran, and Tom Rodden. 2013. “Consent for All: Revealing the Hidden Complexity of Terms and Conditions.” In Proceedings of the SIGCHI Conference on Human Factors in Computing Systems, 2687– 2696. CHI ’13. Paris, France: ACM. isbn: 978-1-4503-1899-0. doi:10.1145/ 2470654.2481371. Luger, Ewa, and Tom Rodden. 2013. “An Informed View on Consent for UbiComp.” In Proceedings of the 2013 ACM International Joint Conference on Pervasive and Ubiquitous Computing, 529–538. UbiComp ’13. Zurich, Switzerland: ACM. isbn: 978-1-4503-1770-2. doi:10.1145/2493432.2493446. Madden, Mary, Susannah Fox, Aaron Smith, and Jessica Vitak. 2007. Digital Footprints: Online identity management and search in the age of transparency. PEW Internet & American Life Project. Retrieved Feb. 23, 2014 from http://www.pewinternet.org/ﬁles/old-media//Files/R... PIP Digital Footprints.pdf.pdf. 1615 L ST., NW – Suite 700 Washington, D.C. 20036: PEW Internet, December. Mashhadi, Afra, Fahim Kawsar, and Utku G. Acer. 2014. “Human Data Interaction in IoT: The ownership aspect.” In IEEE World Forum on Internet of Things (WF-IoT), 159–162. March. doi:10.1109/WF-IoT.2014.6803139. Mayer-Schonberger, V. 2009. Delete: The Virtue of Forgetting in the Digital Age. Princeton University Press. isbn: 9781400831289. McAuley, Derek, Richard Mortier, and James Goulding. 2011. “The Dataware Manifesto.” In Proceedings of the 3rd IEEE International Conference on Communication Systems and Networks (COMSNETS). Invited paper. Bangalore, India, January. MIT Technology Review. 2015. The Emerging Science of Human-Data Interaction. http://www.technologyreview.com/view/533901/the-emerging-scienceof-human-data-interaction/, January. Mortier, Richard, Hamed Haddadi, Tristan Henderson, Derek McAuley, and Jon Crowcroft. 2014. “Human-Data Interaction: The Human Face of the Data-Driven Society.” http://dx.doi.org/10.2139/ssrn.2508051, SSRN (October). Murphy, Kate. 2014. 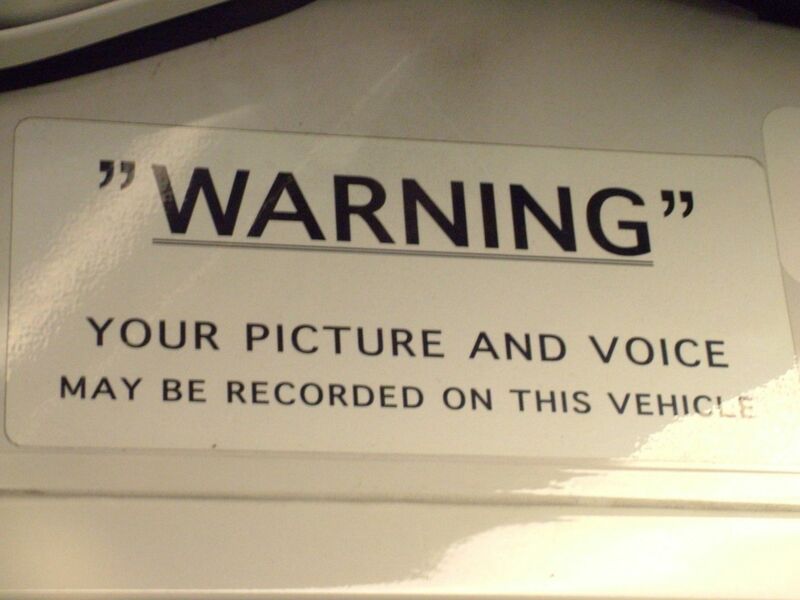 “We Want Privacy, but Can’t Stop Sharing.” http://www. nytimes.com/2014/10/05/sunday-review/we-want-privacy-but-cant-stopsharing.html, New York Times (October). Naehrig, Michael, Kristin Lauter, and Vinod Vaikuntanathan. 2011. “Can Homomorphic Encryption Be Practical?” In Proc. ACM Cloud Computing Security Workshop, 113–124. Chicago, Illinois, USA. isbn: 978-1-4503-1004-8. doi:10.1145/2046660.2046682. Naughton, John. 2015. “Fightback against internet giants’ stranglehold on personal data starts here.” http://www.theguardian.com/technology/2015/ feb/01/control-personal-data-databox-end-user-agreement, The Guardian (February). Nissenbaum, Helen F. 2004. “Privacy as Contextual Integrity.” Washington Law Review 79, no. 1 (February): 119–157. Ohm, Paul. 2010. “Broken Promises of Privacy: Responding to the Surprising Failure of Anonymization.” http://uclalawreview.org/pdf/57-6-3.pdf, UCLA Law Review 57:1701–1778. Organisation for Economic Co-operation and Development. 2013. Exploring the Economics of Personal Data - A Survey of Methodologies for Measuring Monetary Value. Technical report, OECD Digital Economy Papers 220. OECD, April 2. doi:10.1787/5k486qtxldmq-en. O’Rourke, JoAnne M., Stephen Roehrig, Steven G. Heeringa, Beth G. Reed, William C. Birdsall, Margaret Overcashier, and Kelly Zidar. 2006. “Solving Problems of Disclosure Risk While Retaining Key Analytic Uses of Publicly Released Microdata.” Journal of Empirical Research on Human Research Ethics 1, no. 3 (September): 63–84. issn: 1556-2646. doi:10.1525/jer.2006. 1.3.63. Oxford English Dictionary. 2014. http://www.oed.com/view/Entry/296948, February. Pariser, Eli. 2011. The Filter Bubble: What the Internet Is Hiding from You. New York, NY, USA: Penguin Press, May. isbn: 1594203008. Patil, Sameer, Roman Schlegel, Apu Kapadia, and Adam J. Lee. 2014. “Reﬂection or Action? : How Feedback and Control Aﬀect Location Sharing Decisions.” In Proceedings of the ACM SIGCHI Conference on Human Factors in Computing Systems, 101–110. Toronto, ON, Canada, April. doi:10.1145/ 2556288.2557121. Pentland, Alex. 2012. “Reinventing society in the wake of Big Data.” http: //edge.org/conversation/reinventing-society-in-the-wake-of-big-data, Edge (August). Ricci, Francesco, Lior Rokach, Bracha Shapira, and Paul B. Kantor. 2010. Recommender Systems Handbook. 1st. New York, NY, USA: Springer-Verlag New York, Inc. isbn: 0387858199, 9780387858197. Schmidt, Kjeld. 1994. Social Mechanisms of Interaction. Technical report COMIC Deliverable 3.2. ISBN 0-901800-55-4. Esprit Basic Research Action 6225. Shilton, Katie. 2012. “Participatory personal data: An emerging research challenge for the information sciences.” Journal of the American Society for Information Science and Technology 63, no. 10 (October): 1905–1915. issn: 1532-2882. doi:10.1002/asi.22655. Shilton, Katie, Jeﬀ Burke, Deborah Estrin, Ramesh Govindan, Mark Hansen, Jerry Kang, and Min Mun. 2009. “Designing the Personal Data Stream: Enabling Participatory Privacy in Mobile Personal Sensing.” In Proceedings of the 37th Research Conference on Communication, Information and Internet Policy (TPRC). Arlington, VA, USA, September. Solove, Daniel J. 2013. “Privacy Self-Management and the Consent Dilemma.” Harvard Law Review 126, no. 7 (May): 1880–1903. Star, Susan Leigh. 2010. “This is Not a Boundary Object: Reﬂections on the Origin of a Concept.” Science, Technology & Human Values 35 (5): 601–617. doi:10.1177/0162243910377624. eprint: http://sth.sagepub.com/content/ 35/5/601.full.pdf+html. Star, Susan Leigh, and James R. Griesemer. 1989. “Institutional Ecology, ‘Translations’ and Boundary Objects: Amateurs and Professionals in Berkeley’s Museum of Vertebrate Zoology, 1907-39.” Social Studies of Science 19 (3): 387–420. doi:10.1177/030631289019003001. Strategic Headquarters for the Promotion of an Advanced Information and Telecommunications Network Society. 2014. Policy Outline of the Institutional Revision for Utilization of Personal Data. http://japan.kantei.go.jp/policy/it/20140715_2.pdf. Taddicken, Monika, and Cornelia Jers. 2011. “The Uses of Privacy Online: Trading a Loss of Privacy for Social Web Gratiﬁcations?” In Privacy Online: Perspectives on Privacy and Self-Disclosure in the Social Web, 1st ed., edited by Sabine Trepte and Leonard Reinecke, 143–156. Springer-Verlag Berlin Heidelberg. isbn: 978-3-642-21520-9. doi: 10.1007/978-3-642-21521-6_11. The Open Data Institute. http://theodi.org/. Tolmie, P., A. Crabtree, T. Rodden, C. Greenhalgh, and S. Benford. 2007. “Making the home network at home: digital housekeeping.” In Proceedings of ECSCW, 331–350. Limerick, Ireland: Springer. US Consumer Privacy Bill of Rights. 2012. Consumer Data Privacy in a Networked World: A Framework for Protecting Privacy and Promoting Innovation in the Global Digital Economy. https://www.whitehouse.gov/sites/ default/ﬁles/privacy-ﬁnal.pdf, February. Vallina-Rodriguez, Narseo, Jay Shah, Alessandro Finamore, Yan Grunenberger, Konstantina Papagiannaki, Hamed Haddadi, and Jon Crowcroft. 2012. “Breaking for commercials: characterizing mobile advertising.” In Proceedings of the 2012 ACM Internet Measurement Conference, 343–356. Boston, MA, USA: ACM, November. isbn: 978-1-4503-1705-4. doi:10.1145/2398776. 2398812. Westby, Jody R. 2011. “Legal issues associated with data collection & sharing.” In Proceedings of the First Workshop on Building Analysis Datasets and Gathering Experience Returns for Security, 97–102. Salzburg, Austria, April. isbn: 978-1-4503-0768-0. doi:10.1145/1978672.1978684. Whitley, Edgar A. 2009. “Informational privacy, consent and the “control” of personal data.” Information Security Technical Report 14, no. 3 (August): 154–159. issn: 13634127. doi:10.1016/j.istr.2009.10.001. Winstein, Keith. 2015. “Introducing the right to eavesdrop on your things.” http://www.politico.com/agenda/story/2015/06/internet-of-things-privacyconcerns-000107, The Agenda Magazine (July). World Economic Forum. 2011. Personal Data: The Emergence of a New Asset Class. http://www.weforum.org/reports/personal-data-emergence-newasset-class. In collaboration with Bain & Company, January. Zaslavsky, Arkady, Charith Perera, and Dimitrios Georgakopoulos. 2012. “Sensing as a Service and Big Data.” In Proceedings of the International Conference on Advances in Cloud Computing (ACC). Bangalore, India, July. iPad/tablet-optimized version and PDF version of all our online textbooks written by 100+ leading designers, bestselling authors and Ivy League professors. Self-service export to all popular formats, such as ePub. Pre-publication access to all textbooks—read them before everybody else does. Dr Hamed Haddadi is a Senior Lecturer (Associate Professor) in Digital Media at School of Electronic Engineering and Computer Science, Queen Mary University of London. He was a postdoctoral researcher at Max Planck Institute for Software Systems in Germany and a postdoctoral research fellow at the Department of Pharmacology, University of Cambridge and The Royal Veterinary College, University of London. Additionally, Hamed has spent time working and collaborating with Intel Research, Microsoft Research, AT&T Research, Telefonica, and Sony Europe. He studied for his BEng/MSc/PhD at University College London and the University of Cambridge. He is currently serving as the Information Services Director for the ACM SIGCOMM Executive Committee. Dr. Tristan Henderson has been a Lecturer in Computer Science in the University of St Andrews since December 2006 and is now a senior lecturer. In 2011 he helped cofound SACHI and his research revolves around measuring communications networks and their users. His PhD looked at measuring networked game servers and game players, but more recently he has been investigating new methodologies for measuring mobile, wireless and online social networks and their users. He attempts to use the results of this network measurement to build more usable networks. Specifically networks which support the functionality that users desire. For instance we can use network measurement to improve security and privacy so that people can use pervasive sensor networks. Or we can measure network behaviour and use this to inform the design of future networks. He is one of the Workshop Organisers for Health, Wealth and Identity Theft: Designing and evaluating usable security and privacy mechanisms for online happiness a Workshop at the British HCI 2011 conference, and organised the Privacy and Usability Methods Pow-wow at British HCI 2010. Professor Derek McAuley is a Professor of Digital Economy in the School of Computer Science and Director of Horizon at the University of Nottingham. After his PhD and lectureship in the Computer Laboratory at the University of Cambridge he moved to a chair in Department of Computer Science at the University of Glasgow. He returned to Cambridge in July 1997, to help found the Cambridge Microsoft Research facility, moving on to found the Intel lablet in Cambridge in July 2002. He has worked for Intel from August 2005 until August 2006.founded two startups, XenSource (now Citrix) and Netronome. He also Chief Innovation Officer (in residence) at the Digital Catapult during its startup phase in 2013/2014. Jon Crowcroft is the Marconi Professor of Networked Systems in the Computer Laboratory, of the University of Cambridge. Prior to that he was professor of networked systems at UCL in the Computer Science Department. He has supervised over 45 PhD students and over 150 Masters students.He is a Fellow of the ACM, a Fellow of the British Computer Society and a Fellow of the IEE and a Fellow of the Royal Academy of Engineering, as well as a Fellow of the IEEE. He was a member of the IAB 96-02, and went to the first 50 IETF meetings; was general chair for the ACM SIGCOMM 95-99; is recipient of Sigcomm Award in 2009. He is the Principle Investigator in the Computer Lab for the EU Social Networks project, the EPSRC funded Horizon Digital Economy project, hubbed at Nottingham, the EPSRC funded project on federated sensor nets project FRESNEL, in collaboration with Oxford; and a new 5-year project towards a Carbon Neutral Internet with Leeds.Jon's research interests include Communications, Multimedia and Social Systems, especially Internet related. A sociologist by background, Andy started working with computer scientists and software engineers when he did his PhD with John Hughes at Lancaster. John pioneered the use of ethnography in systems design and Andy has been working on shaping computing around the social for the best part of 20 years now. He has published widely, including a couple of textbooks on ethnography for design. He was awarded an RCUK Academic Fellowship in 2006, which solidified his work at Nottingham in the Mixed Reality Laboratory, an interdisciplinary research group with an international reputation for innovative work at the interface between computing and society.